My new book Craveable Keto is NOW AVAILABLE! Click HERE to order. If you have a medical condition then make sure to talk to your doctor beforemaking any changes, because this diet can drastically reduce your need for medication! I love that you included the fact that low-carb isn’t NO carb! After a few weeks of doing around 25 g, I completely stopped losing weight, and even gained some. I was so frustrated until I realized my carb intake was REALLY low … basically around 5 g per day. Once I started eating more carbs the weight started falling off again! It really makes a difference! agree for your first lines,well for me I’ve been looking for stuff like this on how to figure out the needs of carbs,and this help me too,thanks for that. and the rest of the post are really informative.thanks a lot. Our bodies go into starvation mode when it thinks it isn’t getting enough. So many people try eating even less, BIG MISTAKE. you have to eat more so your body is tricked into burning more again. You could go back to 25g of Carbs, but I found that 30g was ideal, sometimes I even went to 35g’s. The weight fell off of me, lost 80lbs in 6 months. Thank you to Sam for the comment. I have elimated all wheat products and felt awesome once I got past the “low-carb flu” but the weight loss just STOPPED and actually have lost the energy again. I have been completely wheat free for 21 days. lost 4 lbs at first, regained that and am stuck. I am at the point that I am going to have to track everything I eat. Don’t know what else to try. Any suggestions? I do best at about 20-30/day, with the occasional metabolic ‘boost’ of having about 50 (still eating whole foods, of course). Low carb is THE WAY to go!! Last August I started on low carb. I tried to stick with around 50 grams per day for four weeks, and then went up to 50-100 per day after that. in 9 weeks I had lost 17 pounds. I was working out the same amount i had been the previous months when i hadn’t lost a pound. The problem with low carb is that in this carb-full country it takes a lot of self control and planning. I do think it is worth it. the entire time i have been doing low carb I NEVER worried about portion control. I decided before i picked low carb that the thing i hate most about altering my diet is controlling portions. I love a LOT of different foods, but i HATE ever being told i have to stop, and for being a fairly small woman (120 lbs right now) i have a huge appetite and always havel. so i wanted something where i could eat eat eat and enjoy stuff and still lose weight. 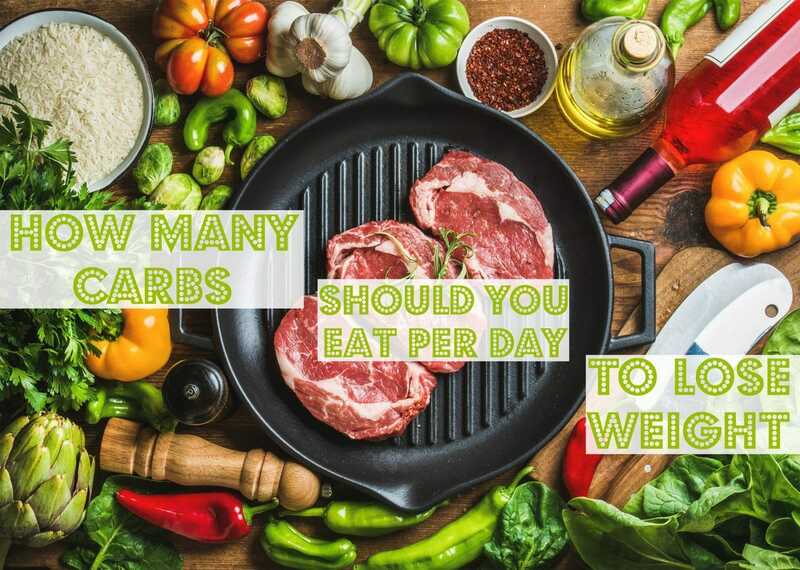 While i generally stuck to 50-100 carbs per day, i have also allowed for cheat days on occasions – holidays, eating out for special occasions, family events, etc, to cheat. one day every couple weeks hasn’t caused me to gain weight. My carbohydrate intake last week averaged 5 grams for the week. That is very low but my cholesterol last time was 129, my triglycerides are way down (they were almost off the chart!) and my sugar is so low I am no longer considered diabetic and I am off the Metformin and the Glimepiride. So awesome …congrats Fintan….what do u eat? Thanks for posting. I have been low carb for 4 weeks. I have lost about 15lbs. My blood sugars are low 100’s highest this past week was 180 but I had not eaten breakfast or lunch. I couldn’t figure that out. It was in the evening. I have been trying a little Intermittent . fasting. I am on the highest mgs of Metformin and the lowest of glimepride. I have actually been able to take half of a pill or not at all. A few times. Trying not to be discouraged because I feel better and have lost inches too. I would love to be free if the diabetes meds. I recently saw Metformin being touted as an anti-aging drug…. Do some research on that…. It can’t be too bad, it’s been around since the 1950s…. Hi Gina, I’m so excited for you decreasing your diabetes meds. I just finished reading Dr. Jason Fung’s book, “The Complete Guide to Fasting”. He talks about all the people that have been on diabetes medications for 20 yrs. that have been able to get off their meds even with 2 weeks of fasting. I just completed a 21 day fast and was so surprised how easy it was. My sugar cravings are gone. I will incorporate fasting and low carb from now on. If you have a thyroid condition, you do better with adding some healthy carbs and that is scientifically proven to be true. For myself, I’m hypothyroid and my thyroid goes goes crash,crash,CRASH, if I do anything below 50-75 grams a day!But, that being said you are so correct most people do not scientifically need carbs! Medically,carbohydrates have a rightful place in your diet. In fact, your body needs carbohydrates to function well. But some carbohydrates may be better for you than are others. Quick question – have you tried any other apps? I ask because I looked up the one you said you used – Cronometer – and it doesn’t appear to be free any longer. Not that I need it to be free, just would like one that’s easier to count carbs on than MyFitnessPal. 🙂 So wanted to see if you’d tried any others for reference! Thanks! This is the info I’ve been needing. My endocrinologist freaks out if I even mention low carb. Through the ‘diabetic’ diet they have put me on I’ve watched the scale increase by 10 pounds and my blood sugars are still way too high. Get a new endocrinologist .. I have been told for years that both type 1 and 2 diabetics ‘must eat carbs.’ Our new Dr agrees that limiting carbs for both type 1 and type 2 is healthy and actually reduces the need for insulin and meds. Eating low carb is a lifestyle change, not a diet. I am close to pre diabetic, so I had to make changes in my diet. I have lost 16 lb in 2 mo. I feel terrific, cravings have subsided, but I can’t say that it’s been easy for this carb addiction. I now crave healthy stuff instead of junk. My newest “a ha ” moment is using vinegar and oil instead of dressing. Love the taste of salad….not heavy dressings. It’s well worth the effort to hold tough in this world of overindulgence. And people wonder why they can’t lose weight. We are bombarded constantly by stuff we shouldn’t be eating. Completely agree, low carb is a lifestyle not a diet. I was pre diabetic, I have lost 10.5 kilo grams and love this way of living. It’s not easy at first but you soon get into the swing of things. I will never look back. I found that if I fall back into the old trap of cutting fat along with cutting carbs, my weight loss slows/stops. Once I add the fat back in (coconut oil, olive oil, butter and the fat on meat), the weight loss (and my blood sugar control) returned. My energy levels increased as well. Low carb is *not* high protein, it’s high fat. Too much protein and the excess protein converts to sugar. I followed keto for almost two months until I hit plateau. Then I started reading and investigating about metabolic syndrome since I have Thyroide problems (hypo), and there are some sugestions on increasing the amount of carbs in a cycle for those who have this problem. Now my thyroid is very happy and I am still loosing weight. This is an excellent article. You laid out such a good differentiation between different people and goals. It is so true that those with insulin resistance and metabolic syndrome really can’t tolerate many carbs at all. I will be sharing this a number of different places. Around 100 pounds! Can’t get him to eat breakfast eats out everyday at lunch then I try to make a healthy dinner and have healthy snacks! He likes sweets and junk food and lots of bread and tortillas which I have pretty much eliminated from our house! Help please drs say it’s very important for him to loose weight! I have done the no carbs and lost 19 pounds and I have maintained! I’m trying to do this with him! I tell him if he will give up bread, rice, pastas and sugar he will loose but he tells me I will starve so I have cut down portion sizes! Any ideas or suggestions will be greatly appreciated! Love that i found your blog, reaffirms what i know. I have been doing Keto since January 2017 and have lost 65 lbs. I still have more to lose. I stay in the 20 to 30 gram range in Carb intake. I have totally eliminated Gluten and do use MCT oil. I feel good and know i was pre diabetic with metebolic syndrom. I just feel good and Keto lifestyle is great. I’ve been low carb since second week of November and have lost 20 lbs. I even managed to have a small amount of potato during a Caribbean vacation and also on Christmas Day. I decided not to start at 20 grams a day of carbs because I was coming from a place of 200-300 a day so I started at 80 carbs and sometimes went all the way down to 40 depending on the days. When I was on vacation I took the Keto strips with me and stayed in ketosis at 60-70 grams a day. I don’t get obsessive about it because I’ve done low carb before and lost a lot only to return to bad habits. I worry about becoming diabetic so I started again after a year ago I gave up. The longest I went without sugar was 19 months. This time there is no end goal and I just want to live the low carb lifestyle because that’s where I feel at my best and most energetic. While potatoes or startchy vegetables don’t bother me on a cheating level, the sugar I have stayed away from and will continue to do so. That has always been my downfall and there is no moderation for me . I treat myself as though I’m a diabetic now. I’ve lost 44 pounds in 3 months with eating 40g of carbs a day and only 40g of fat a day. Thank you so much for your simplistic description on Keto and what happens. Also for the recommendation of Cronmeter. I believe that is going to be a game changer for me. Thank you also for your fantastic looking low carb recipes! Keto? I am not sure how to do that as when it was explained to me it seemed confusing. I’ve reached a plateau, mostly due to “ cheating” a bit. I have very little self control when it comes to some starches and deserts( only homemade) and my husband doesn’t follow this diet. He eats what I make but bread, rice pasta and ice cream are always in the House! Any simple ways or ideas out there? I just started the low carb lifestyle and am loving it! The funny thing is I too was not much of a veggie eater, but am now eating more veggies and actually enjoying them. The only thing I miss is pasta, but have found several recipes to make Keto pasta, which by the way is soo much better than the cab laden stuff. Yes, this lifestyle is somewhat labor intensive, but so worth it. I’m lucky I guess because I love to cook and try new recipes. My husband thinks I’m nuts, but little does he know he’s eating low carb without me telling him. He always wants what I’m eating, so it really works out great! I did have to stop him on the chocolate macadamia fat bombs though, he scarfed about 6 of them at once and ended up in the bathroom all nite, lol. He about died when I told them that they were mostly coconut oil and not chocolate. Which go on to say low carb cooking can be delicious!